We have the water-based drilling mud, clear completion fluids, and fresh water your site needs to get the job done right. 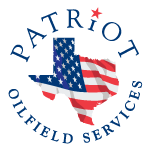 Patriot Oilfield Services has water-based mud ready for your well site in weights ranging from 9.0 ppg to 21 ppg. Potassium chloride, calcium chloride, brine water, and freshwater are available through our fluids facility. Let’s discuss your current or next project – call us at (979) 648-2416.